SKU: 3330. 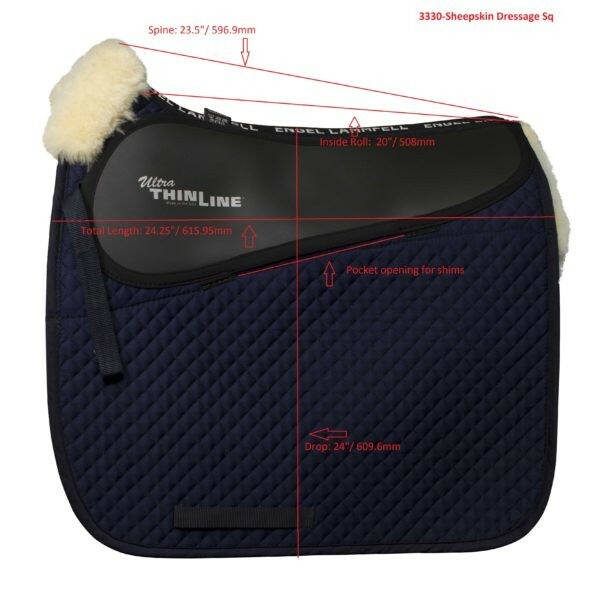 Categories: Shop All ThinLine Products, English Saddle Pads, Numnahs - Full English Saddle Pads, Sheepskin Half Saddle Pads, Dressage Equipment, Therapeutic Saddle Fitting Pads. Tags: dressage saddle pad, saddle fitting pad, sheepskin dressage. What is ThinLine? ThinLine is a unique, open-cell foam which moves shock, weight, and heat laterally along the pad without compressing. The result is 95% shock absorption. But don’t let all the testing and technology get in the way of what really happens; extraneous motion and impact are nearly eliminated, leading to comfort and a quiet connection for both parties. All this is delivered in a breathable product measuring only 3/16 of an inch (4.6mm) in thickness. Every Saddle Pad comes with this extraordinary technology. Pads also come with a pocket to add saddle fitting shims, also made of the same shock absorbing foam. Non-slip and breathable. ThinLine improves performance, allowing horses to lift their backs and move with more relaxation and suppleness. Add Saddle Fitting Shims to your pad: the shim product will appear when you add this item to your shopping cart. 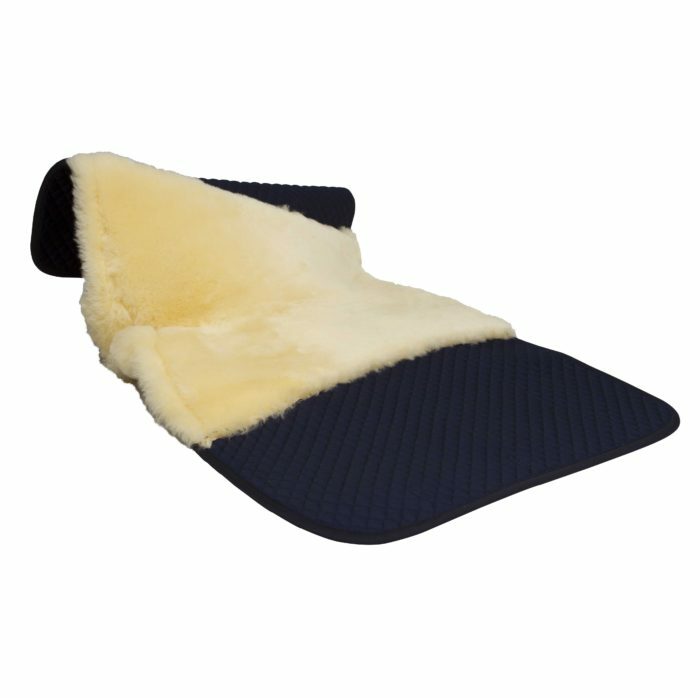 Fantastic Pad (Full Sheepskin Dressage Pad) that offers my horse total comfort and does not slip. When your horse is happy in the back, you are able to achieve greater heights in dressage. Thank you for creating this thoughtful and protective pad, my Andalusian loves it! Also wanted to mention…Great company and customer service! 🙂 I’m a customer for life!